What with Prince mid-way through a hit and run tour in the UK playing small venues like a one man musical Bonnie and Clyde (he played the Roundhouse this week), it appears that funk – and its offshoot genre funk rock has not yet gasped its final breath. There are some musical genre-mash-ups that simply aren’t meant to be. Genres that go together like Sam Fox and Mick Fleetwood, or Clegg and Cameron. The sort of thing that puts a cold shudder through the spines of the listening public. Like Punk and Gospel. Or when Madonna tried to rap, rhyming “super dooper” with “mini cooper”. Funk-metal is one such slightly chin-scratching genre. However, Funk-rock has boasted some interesting bands and artists. Bands such as Sly and the Family Stone opened the door whilst Prince is an obvious dabbler. Mothers Finest were pioneers of a tougher metal sound and had a comeback in the late eighties that I was privileged to see. The eighties also saw the emergence of The Red Hot Chilli Peppers – a band that took to posing wearing little more than cotton footwear in an unorthodox style. 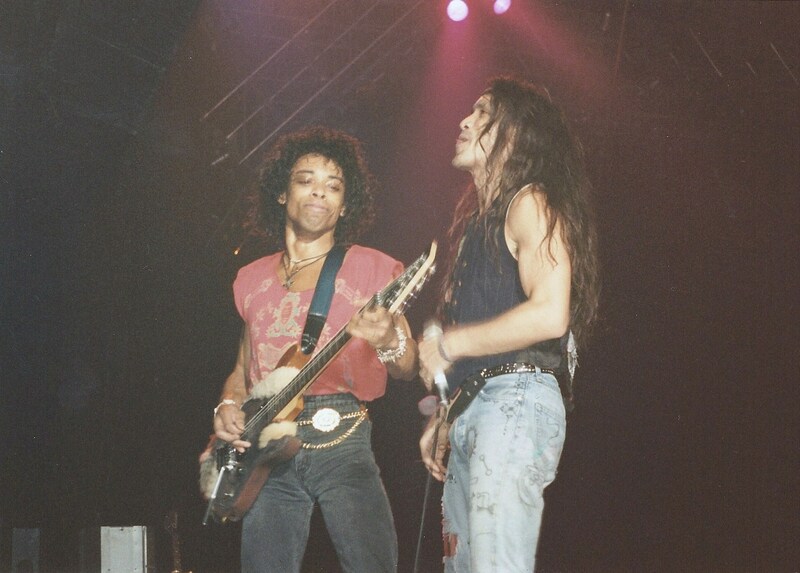 The Chillis were caught in that wave of eighties metal, but really were standard bearers of funk-rock with their early records which pre-dated the Jovi: breakthrough album “Mothers Milk” covered Stevie Wonder’s “Higher Ground”. Moving towards the “metal” end of the spectrum, Extreme’s album contained the funk-metal song: “Get The Funk Out” whilst they achieved chart success with soft-rock balladry. 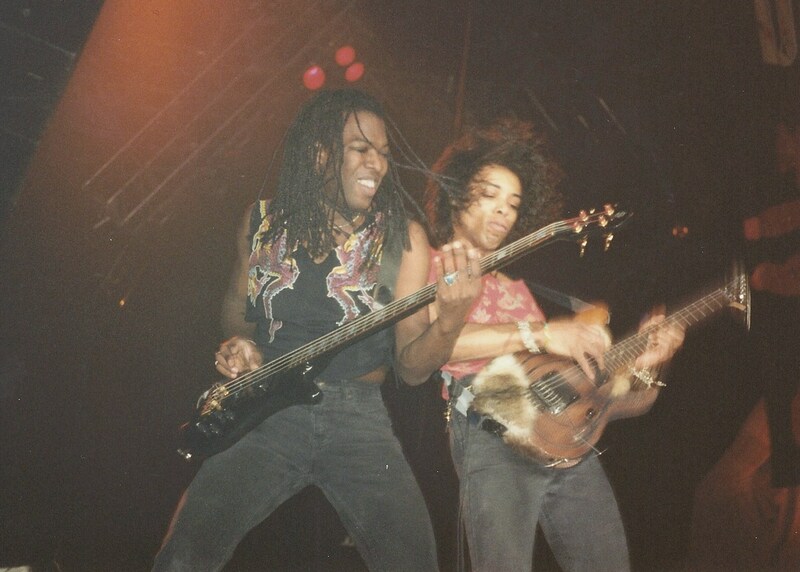 And Living Colour mixed a number of genres, but “Cult of Personality” hits the funk-rock nail on the head. Faith No More blended rap, metal and soulful vocals, most successfully on The Real Thing. But was it funk? Hmmm. Probably. Sometimes. But perhaps the artist with the most radio-friendly funk rock sound was The Dan Reed Network. Led by a good looking, long-haired and charismatic frontman, Dan Reed Network’s debut album was a modest success in the USA and hinted at future delights with songs like “Tiger In A Dress”, “Ritual” and “Get To You”. It was produced by Bon Jovi producer Bruce Fairburn, which gave rise to DRN’s sound being neatly labelled as “Bon Jovi meets Prince”. DRN’s second album “Slam” became their breakthrough record. 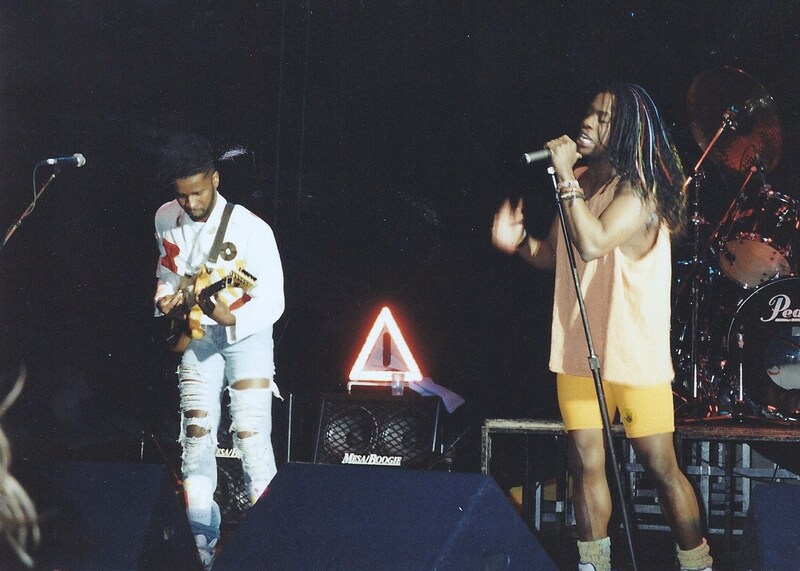 Produced by Nile Rogers, and sporting a message of peace, love and tolerance (“The World Needs A Heart Too”) played by a band with members of different ethnicities including a front man of Hawaiian origin, this was a refreshing alternative avenue to explore for rock fans used to seeing mainly white-skinned performers play to a mainly white-skinned audience. Title track “Slam” contained a great riff and “Stronger Than Steel” was an excellent example of the kind of sugary, syrupy power ballad that we are fortunate has not led to high incidences of type 2 diabetes in rock fans who lived through the times. 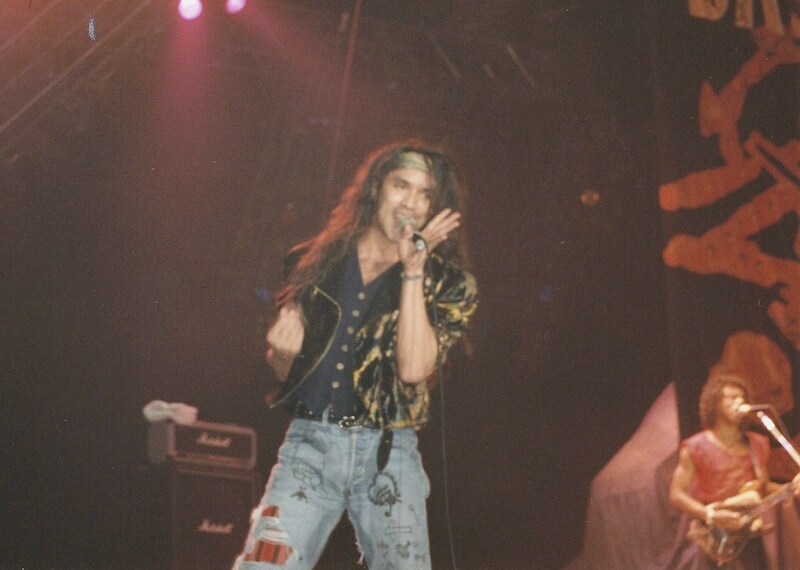 Dan Reed’s good looks and strong tunes attracted plenty of attention, climbing the album charts on both sides of the Atlantic and in 1990 they were picked to support The Rolling Stones at Wembley Stadium and Bon Jovi at Wembley Arena, (which is where I took these photos). “We are five guys from different races” said Dan in an interview with Kerrang! in 1990. “We are not in this for the chicks” he continued, less convincingly. “Even if we were in the club days we’re not anymore” he continued digging, convincing no-one. However, Dan Reed himself appeared less comfortable with the attention he and his band had attracted. In 1990 Reed shaved his head in a Samsonesque attempt to draw attention to his message of hope and love (and to promote single “Stardate 1990”) but like Samson, or if you prefer, Jessie J, he soon discovered cutting your flowing locks when in the music business doesn’t always delight the marketing departments at record labels. “I hope I didn’t screw up” he said at the time, rather presciently. To be fair, perhaps it was less his haircut (or lack of it), but the winds of change in music that sapped his strength. “Bon Jovi meets Prince” got old real quick when Nirvana released Nevermind and although 1991 album The Heat was a UK top 20 hit album, the band fizzled out with a dreaded “hiatus”. All this was over twenty years ago, but the good news for funk rock fans is that Dan Reed Network have continued to play shows from time to time over the years, and there is currently a rare chance to see them on tour in the UK and Europe. They play Islington Academy on 10th June, Glasgow ABC on 11th June and The Download Festival on 13th June. ‘He moved like a cat’, was the admiring Mrs 1537’s view on Dan live.